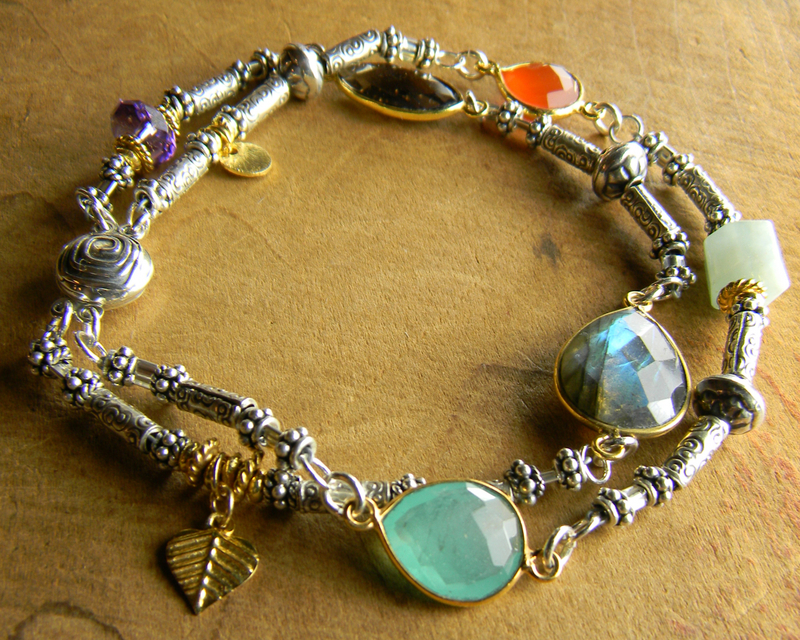 A colorful mix of gemstones in a boho bracelet design with Hill Tribe silver and gold vermeil. 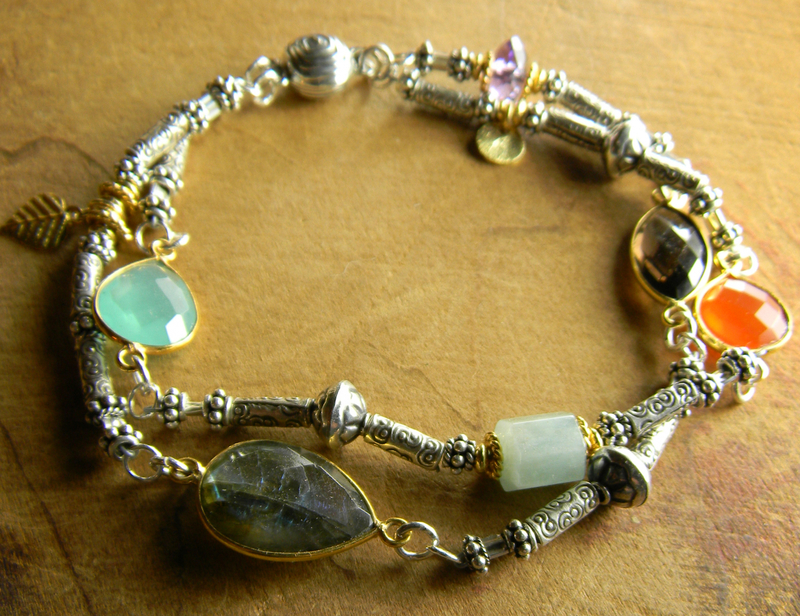 Focals of labradorite, chalcedony, carnelian and smoky quartz. 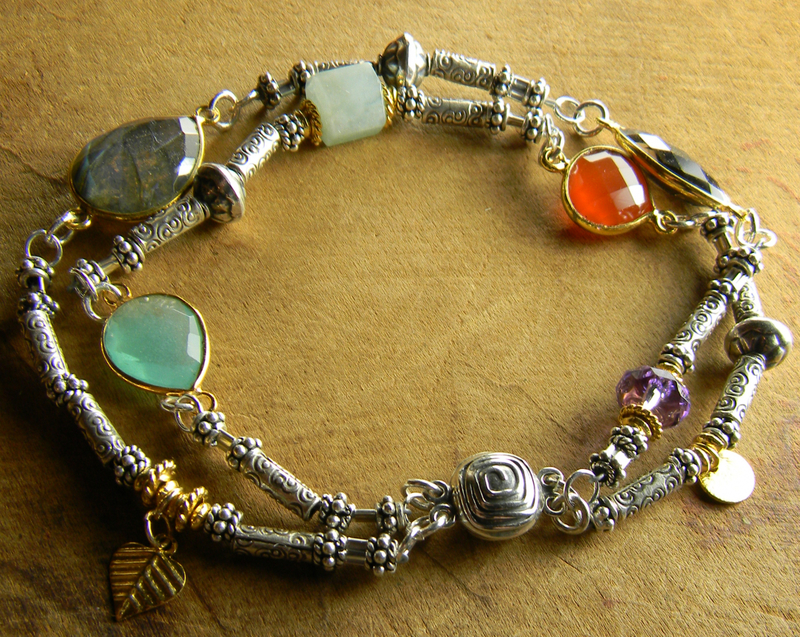 Embellishments of Sterling silver, Hill Tribe rondelles and a magnetic clasp of Sterling silver lend color and texture to my design. Gold filled and gold vermeil dangles and spacer beads are perfect touches that add even more richness to this gorgeous bracelet. Fits best on a 6.75 to 7.5 inch wrist.